Welcome to the PEPSA Learning Curve! The PEPSA Learning Curve is an online resource that provides interesting and interactive stories, ideas, resources and materials for teachers of students with autism or a related disability. Check it out! *Are you excited about something going on at your school or in your classroom for a student with autism? Whether it's a success story, a great instructional idea or an interesting support you've developed, share it with your colleagues on our website! 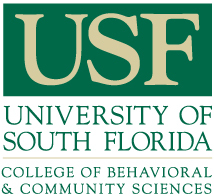 Contact Katy Tapley at kfostier@usf.edu and let us know what's going on at your school. Copyright © University of South Florida. All rights reserved. Questions about this website? Contact webmaster.